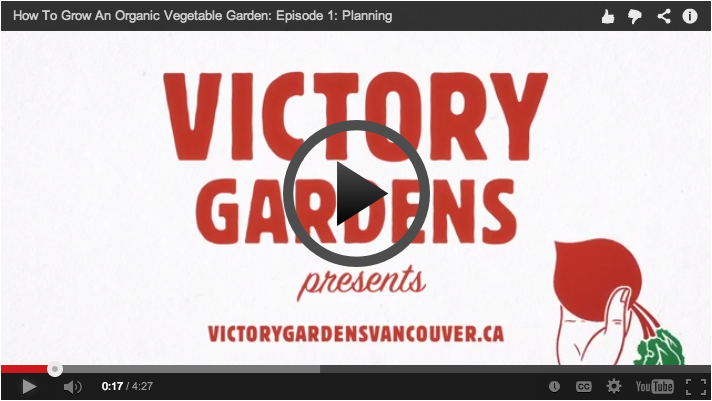 To paraphrase an oft-quoted proverb, rather than give a person a basket of vegetables and feed them for a day, Vancouver’s Victory Gardens is producing a series of educational YouTube videos in an effort to teach people how to properly nurture an urban garden — and potentially feed them for a lifetime. 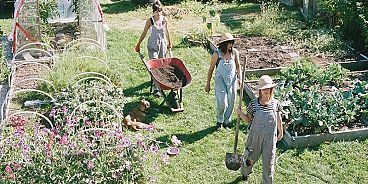 The pilot episode of the lighthearted-yet-informative series of gardening videos, entitled “How to Grow an Organic Vegetable Garden”, is called “Planning” and offers tips on how to effectively plan an urban garden, make the most out of available sunlight and soil and employ “Successional Planting” techniques. The first in the series of five videos was just released online this morning and may be viewed at www.victorygardensvancouver.ca/videos. Future episodes in the series will deal with such topics as “Soil“, “Seeds and Transplants“, “Winter Gardening” and “Growing Garlic” and will be produced and posted throughout the year based on their relevance to the season. “Gardening is all about getting your hands dirty, growing delicious and organic food and connecting to what we eat. This all sounds great, but what if you don’t know how? That was the genesis behind us producing and releasing these videos, so that people can get growing on the Northwest Coast,” says Sam Philips, who co-stars in the series with her fellow Victory Gardens co-founders Giroday and Sandra Lopuch. Funding for the series was provided in part by a $25,000 grant which Victory Gardens was awarded last fall as a co-winner of the National Co-Op Challenge — a social media contest showcasing 16 emerging locally owned and controlled co-operatives that are tackling needs in their respective communities across Canada.